Performance management is a fancy term for a simple concept. Performance management describes the processes of monitoring and reviewing employee’s work and general success in the workplace. It can be broader than individual performance review and disciplinary processes. It can include processes to assist an organisation to reach its goals and objectives through working with individuals and teams to assist them to produce their best and most effective work. Employees also benefit from knowing what is expected of them in their job and what behaviours are acceptable and unacceptable. Performance management policies encourage employees to produce their best work if they know that their efforts will be rewarded through positive reviews and promotions. Employers benefit from the increased productivity of motivated and committed employees. It also assists employers to have clear steps to follow in the case of an underperforming employee. A good performance management policy should allow a two-way communication flow, with opportunities for employees to give feedback and be supported. If an employee is dismissed or has adverse action taken against them (for example being demoted), the employer must follow their own performance management policy. If they don’t, they may be liable for taking action for an unlawful reason, for unfair dismissal or for breach of contract. However when an employer makes a decision based on a legitimate performance review or performance management process, this will not be bullying or discrimination. Bullying, harassment and discrimination in the workplace are separate issues. 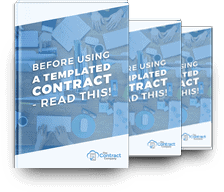 Do you need a contract lawyer and don’t know where to start? We are able to help with a large range of legal contracts – get in touch today.